Item # 306047 Stash Points: 4,799 (?) This is the number of points you get in The Zumiez Stash for purchasing this item. Stash points are redeemable for exclusive rewards only available to Zumiez Stash members. To redeem your points check out the rewards catalog on thestash.zumiez.com. 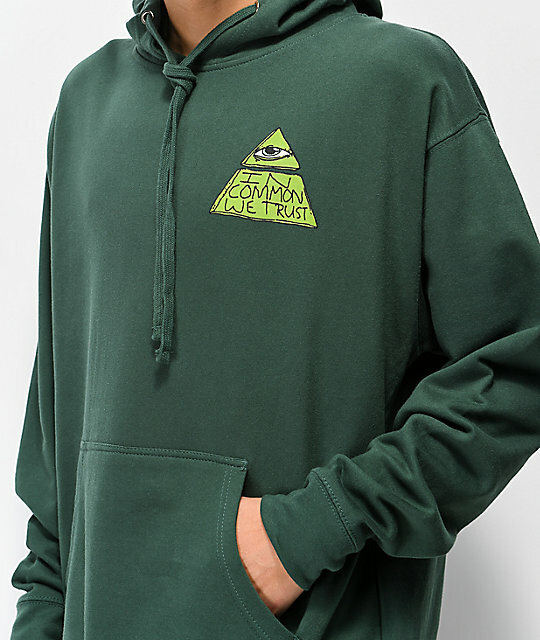 Take on an original look from Common with the Trust Fund green hoodie. 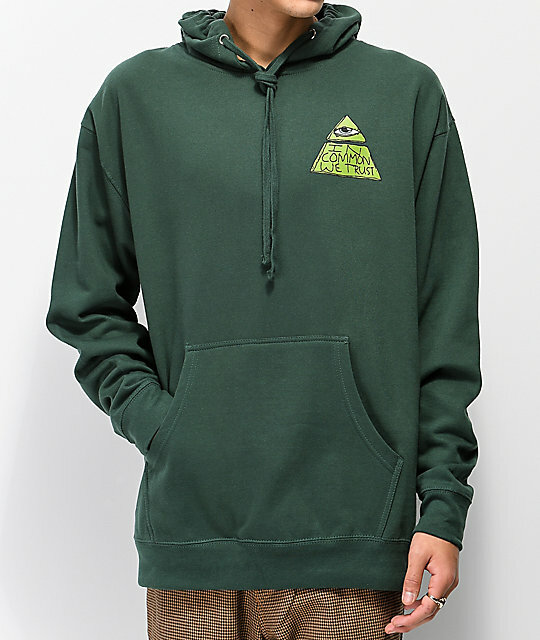 Coming in a deep green colorway, this fleece-lined pullover features matching left chest and back Eye of Providence logo graphics that read, "In Common We Trust." 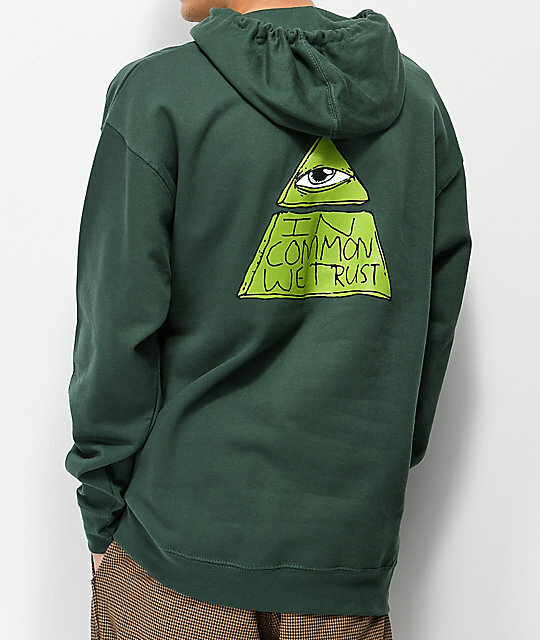 Trust Fund Green Hoodie from Common. Screen print graphics at the left chest and back.